The Rotating Junior Counselor assists the Senior Counselor in supervising a cabin of twelve campers. Live with and assist in supervising the activities of twelve campers at all times. Assist with nightly cabin devotions. 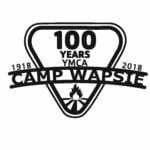 During all activities follow the policies and philosophies of Camp Wapsie and assure that the campers are also following them. Participate in all of the courses, activities, classes, training, and planning sessions during the week of pre camp. Lifeguard in the pool guard rotation as directed. Assist the senior counselor in programming activities for campers during cabin activity. Attend the weekly 1:00 PM Sunday staff meeting and share your ideas and distribute any organizational material for an activity that you are programming during the week. Must possess a willingness to learn. Must have some experience or basic knowledge about working in a kitchen. General knowledge of cleaning and maintaining facilities and running equipment. Must be able and willing to follow directions.